BLANCO defines livable design as transitional in feel – but with organic lines that are naturally inspired and offer durability and easy-to-clean performance. It’s not enough to walk the line between traditional and modern… today’s styles must also be performance driven – they need to save water, last longer, be easy-to-use and easy-to-clean. They also need to offer organic lines – gently sloping and easy to match with today’s surfaces, cabinetry and flooring. Even modern cabinetry is reliant on nature’s palettes and textures so the fixtures must match. 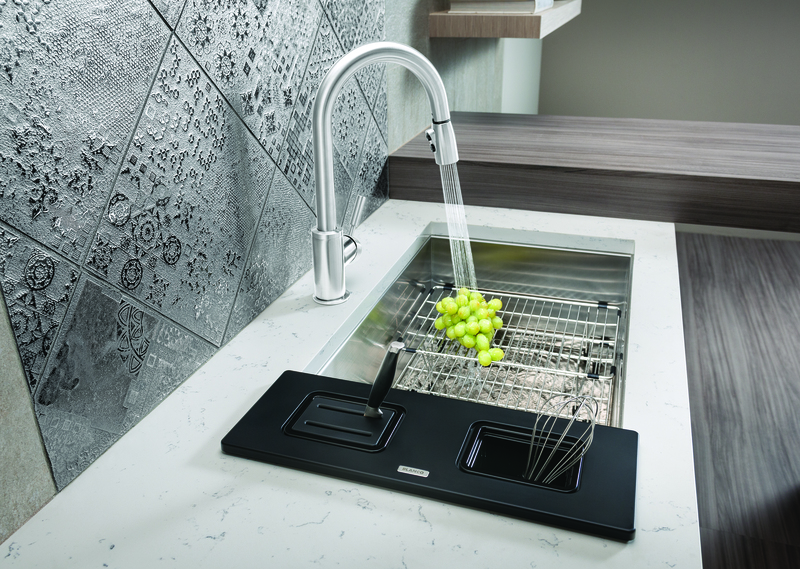 BLANCO is sponsoring and hosting our January 7, 2015 KBtribechat. Question 1: What is livable design? How are you inspired by organic themes? Question 2: Colors are livable. What colors take their inspiration from nature? Question 3: Ergonomics are important to livable design. How do ergonomics impact your designs? Question 4: How does personalization play a role in livable design? Question 5: Durability is a hallmark of livable design. Is quality making a comeback? Are we tired of a throwaway culture? Question 6: As living spaces come together, how do open floor plans impact design? Question 7: Open floor plans also mean keeping spaces uncluttered. What organization systems are you employing to keep it clean? Find more information at BlancoAmerica.com. Thank you for sharing this post Sandy! We look forward to your participation in this discussion. LOVE the “Liveable Design” concept as a title..brilliant! Question 3: Ergonomics for my target market, the 78 million Baby Boomers is essential but truly, why is not appropriate for all ages? Example: Who can safely reach the top shelf of 42″ upper cabinets? Looking forward to this Chat! Yes Mitzi! I’m glad you plan to participate in this discussion as you have much to add on the topic. “See” you on Wednesday.